Nokia Pakistan and Mobilink partnered together and offering Nokia Asha 311 for Jazz customers. The company has announced this offer via news and print media advertisement. Nokia Asha 311 buyers with Mobilink Jazz connections will now get free mobile usage from Mobilink. Mobilink is also offering free 100 Minutes, 1000 SMS and 30 MB mobile internet every month for three months. 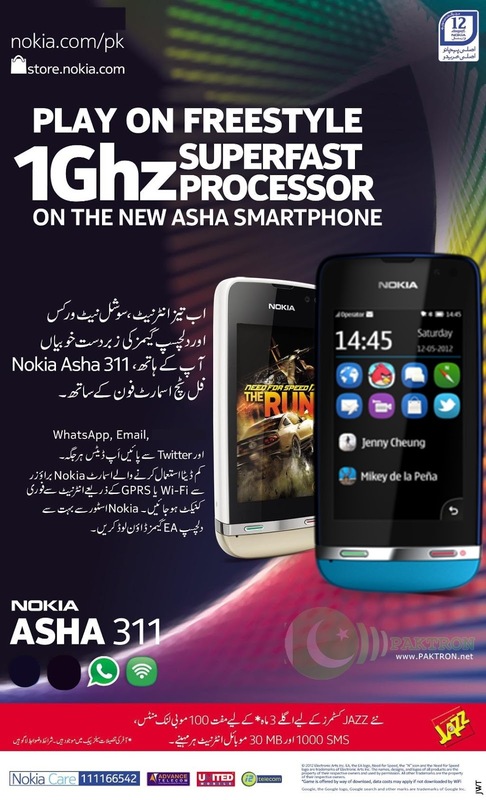 Back in March, Mobilink and Nokia, for the first time, entered into a grand collaboration for the Nokia Asha 303 campaign. The stylishly slim Nokia Asha 311 features an exceptionally responsive touch screen that's great for browsing & apps. Nokia Asha 311 is a powerful social networking hub and makes it easier than ever for you to stay connected with what’s important. The phone comes with a 1 GHz processor, & features the latest 3G and Wi-Fi support for fast connectivity. 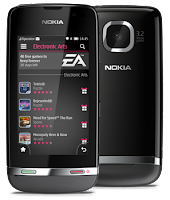 Advance Telecom, United Mobiles and i2 Telecom are the official distributors and warranty partners of Nokia Asha in Pakistan.